Mini Foldable PMMA Binoculars. 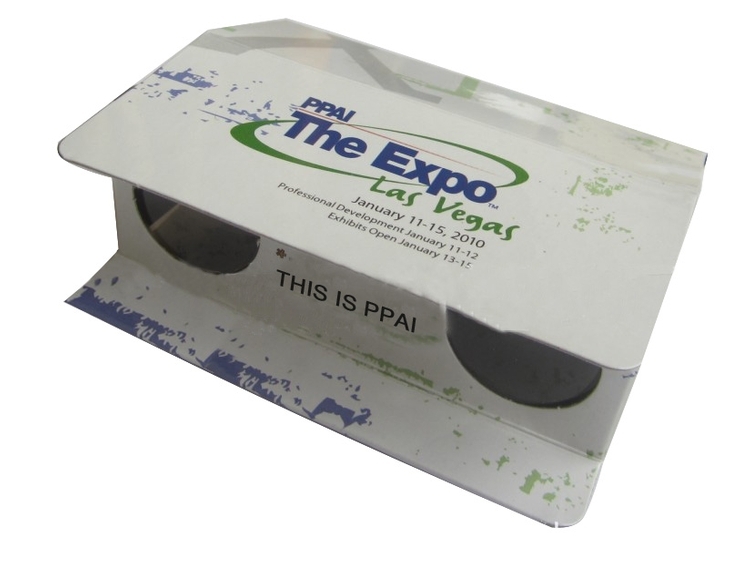 Made of sturdy cardboard and PMMA lens. This folding paper telescope helps you to see scenery in long distance. It folds up small enough to fit in a purse or pocket, and is good for sports events. Nice display spot for your custom logo. 3 15/16" L x 3 1/8" W x 1 3/4" D.
Product color: Black, White, Yellow, Blue, Red, Orange, Green, etc.